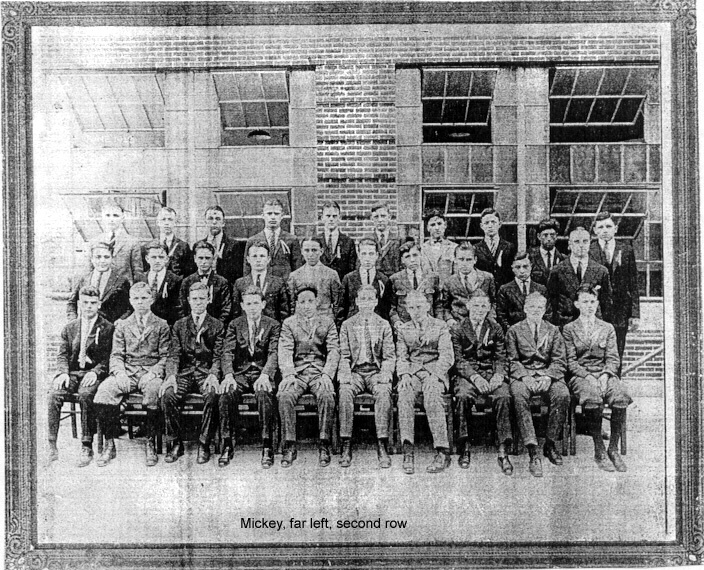 In 1921 I graduated from South Market Street Grammar School, and enrolled in Boy's Vocational High School to study auto mechanics. The school was located on Wickliff Street, between Warren and School Streets. Except for rainy days, I would walk to school everyday. The school offered a variety of vocational courses including Printing, Machinist, Art, Carpentry, Cabinet Making and many more. We usually had three hours of auto repair, followed by one hour each for wood making, electricity, and either math or English. The wood shop was located above the auto shop, and it was there that a fellow student named Murphy, threw a small block of wood at me. I turned to look at him, and it struck my right eye and caused me to lose sight in that eye. It was a stupid act, and I shall always remember Murphy was his name. After about a year, a new building was completed and we were all transferred to the new school located at its present location at Bergen Street and Sussex Avenue. Our auto teacher was Mr. Cooke. He was a real man's man. He stood 5'10" and weighed 190 pounds. He was strong. He could lift a Ford Model T engine out of the chassis without the use of a crane. If a horse was needed to support a front axle, he would not use a jack to raise the car. He would put his back against the front wheel and grab the spokes with both his hands and lift the car high enough for someone to put a horse under the axle. I'll never forget that act, because two years after graduating, I managed to master the act and performed it a few times myself. At the time, I was working in a storage garage on Springfield Avenue and Morris Avenue. One day the owner of a Baby Furniture Store came in to pick up his car. We got into a conversation about my teacher's act of lifting a car, and he didn't believe it. So I showed him how it was done. He was amazed. He told me that anytime I needed baby furniture, that I should see him. In fact, we bought our first crib at his store. He never forgot the act, and every time we would meet, he would tell everyone what I did. 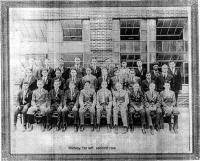 I had many friends at Vocational School, all Italian, and all from Newark's First Ward. We had great times at lunch period. Everyone brought their own lunch- home made hoagies. If ever you wanted to taste a real hoagie, that would have been it. The hoagies (or submarines, as they are called today) just don't compare. Everyone always brought enough lunch for three people. One time I had a half loaf of Italian round loaf cut in half, plus almost a whole cooked chicken for lunch. We were all very good eaters. Sometimes we would share our lunches, but none was ever wasted. Thank god for the one-hour lunch period.